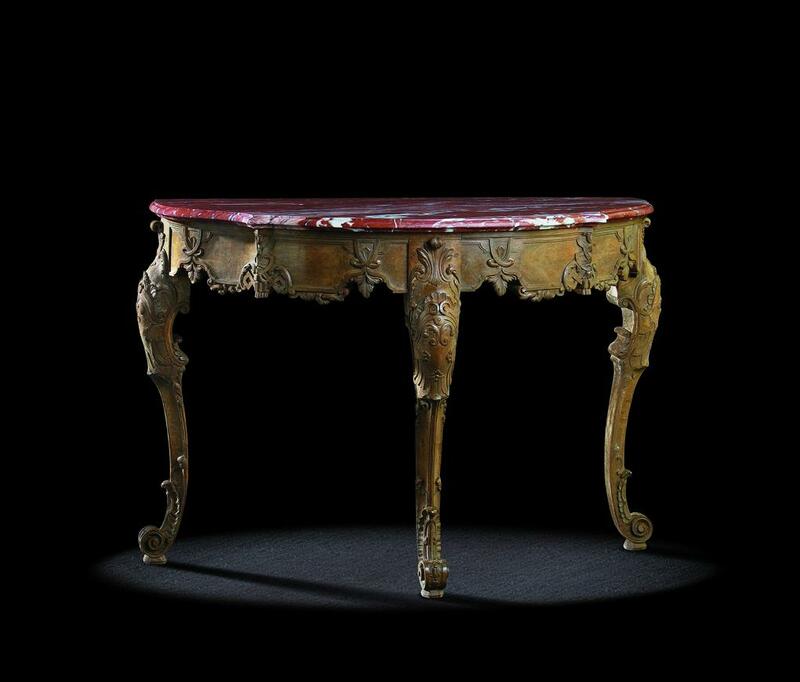 This magnificent three legged console is an exact copy of a model that exists as a pair. One notices beyond measure the design has a special verve and equilibrium. An inspired carving of exquisite botanical motifs accompanies the vigorous lines happily. She comes to life with these triking features that can be a little exuberant and deeply mark the plane surface.